Serving All DFW Area Summer Camps with Sizzlin' Summer Science and Rockin' Enrichments! Welcome to SUMMER 2019! Make your camp SIZZLE with Science Made FUN! Our Sizzlin' Summer programs are totally hands-on for each and every child. All workshops are designed specifically for campers Pre-k 5 through the sixth grade, and most can also be adapted for pre-k 3 and pre-k 4. Each sizzlin' summer workshop lasts for 30 minutes, and our energetic scientists are excited to serve as many groups (20-25 campers per group) as necessary to fit the needs of your camp. Our Sizzlin' Science Instructors will engage each group in non-stop, hands-on, FUN learning! Several programs include take home materials. "Ms. Lightning had great control over my class and was very captivating. My students wanted to learn and share. They had fun!" Motivate children to investigate the natural wonders of science! High Touch High Tech will engage your campers in exploratory, hands-on, FUN, science experiences for 30-minutes, serving as many groups as needed to meet the needs of your Summer Camp. This supply intensive, educational experience includes all equipment and materials needed to turn your camp into a real science laboratory! Camp Counselors, Staff & Parent Chaperones are welcome to participate free of charge! Reserve all 10 weeks of summer and receive a $10.00 discount on each and every summer visit! Marvel at the accomplishments your students will achieve! A paleontologist has the coolest job ever, but they must work hard for their rewards! Campers will perform their own excavation, identify a real fossil, and take home a real piece of history! The world of gases is very high energy, indeed! Discover how gases are made naturally and chemically. 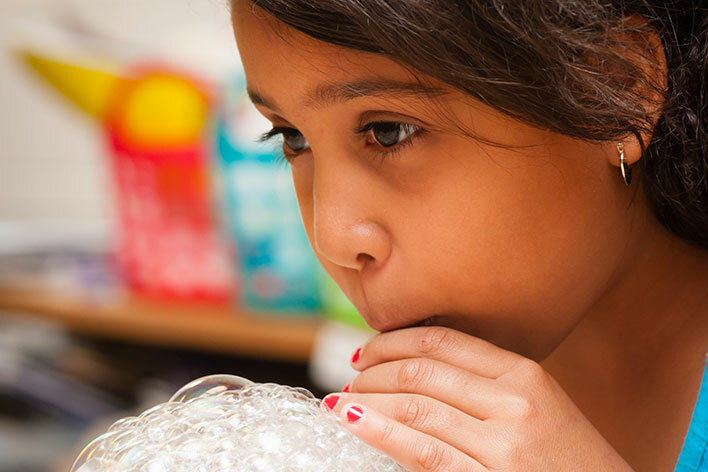 Create, capture, and release all sorts of fun gases, and a few laughs, as well! 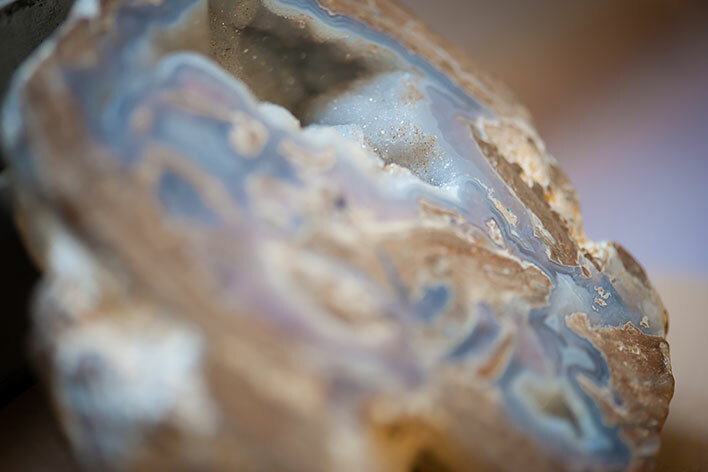 Discover the fascinating world of rocks! Pan for real gems and minerals, and become a true geologist as you classify your treasures. Take home an assortment of beauties! Use real science chemicals to create a batch of slippery slime. Learn all about the wonderful world of acids, bases, neutrals, and indicators, and how these chemicals are used in real laboratories! You will be totally "attracted" to everything in this program, and electrified by the relationship between magnetism and electricity. Create a fun magnet to take home! Prepare for an awesome rocket launch. Get ready to experience the same forces as an astronaut, using our cool bicycle-wheel gyroscopes. Grab a taste of REAL astronaut ice-cream! Step back in time to the days of Newton. Have a hands-on look at inertia and motion. Discover gravity and other forces as we push, pull, and get the job done! There is big-time science fun under this big top! Use real acid on a dirty old penny, paint with real crystals, and become a chromatography separator! Step into the super interesting laboratory of sound. We'll create waves, send them out, propagate them, and discover where they go! Make salt dance and water fly! Become a volcanologist and explore the awesome world of volcanoes as we create our own "Ring of Fire"! Build massive pressure to erupt and move our cool, chemical magma. Q: Why do you cap the session size at 20-25 children? A: In order to maintain the hands-on nature of our programming and provide assistance to as many children as require, we request to limit the size of the workshop. Q: Are the supplies included with the program? A: All supplies are provided by High Touch High Tech. Our Scientist will bring enough supplies for each camper to enjoy a hands-on experience. Q: When will the Scientist arrive? A: Our Scientists require only 5-10 minutes to set up for your program; therefore, you should expect them to arrive approximately 10 minutes prior to the start of your program. We Look Forward To Visiting Your Camp! 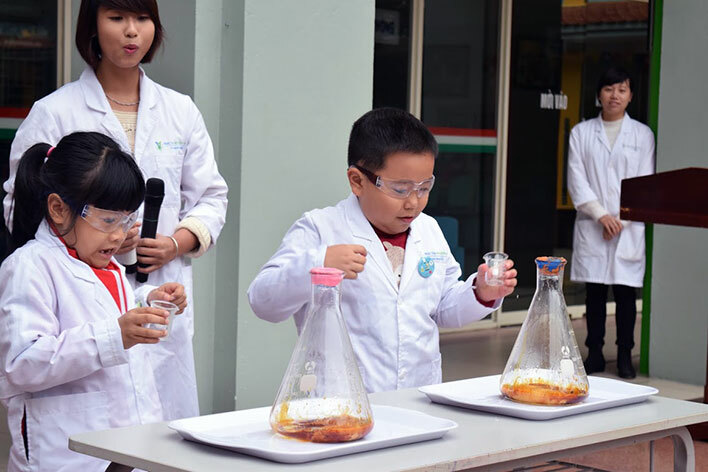 Involve students by becoming REAL scientists performing REAL experiments! We facilitate STEM fun for kids. Our programs provide an opportunity to expose kids, at an early age, to the amazing world of science and nature.